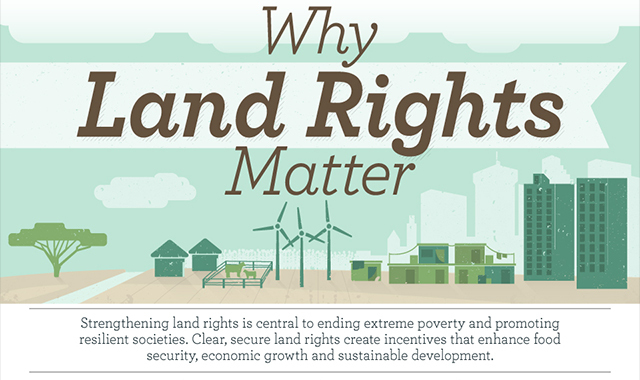 Why Land Rights Matter #infographic ~ Visualistan '+g+"
USAID designs, tests, and evaluates innovative and cost-effective land and resource governance and property rights approaches around the globe that can be adapted and scaled. In this infographic, we worked with them to showcase just why land rights matter and what U SAID’s land tenure programs show by the numbers. With evidence suggesting that understanding, clarifying and enforcing land rights can have a powerful impact on all members of society, it’s definitely an issue that more members of society need to be educated on.